Moultrie A5 Low Glow Game Camera Review: Best lo-glo option? 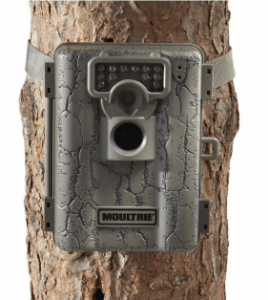 The Moultrie A5 is a new game camera available in the market today, popular for its relatively cheap price, perhaps even the cheapest one in its range. This new trail camera from Moultrie has some functional features that are well suited for the price it offers. This camera has a 5MP photo resolution that makes for great scouting. This amount of resolution already gives you a clear enough picture. Aside from this, the trail camera has the ability to capture either day or night video. One really good thing about this camera is that it is very straightforward which makes it a lot easier to setup. As a matter of fact, you might not even need to look at the manual when you set this camera up. Now, you can scout your entire property without complications. The A5 gen 2 has a nighttime range of 50 ft. It also has a low glow flash that prevents it from scaring away the wildlife hanging around the area. You will be able to see what animals frequent your place as well as their patterns without disturbing the game. The downside of this camera is that the picture quality is not the best when compared to other devices. There were also some complaints that the camera could not capture smaller animals and they get a lot of whiteout photos. However, you have to remember that you are paying less for this camera. It is unfair that you compare the standards to those trail cameras that cost 5x more than this. When you put this device side by side with others in the sub $70 price range, it compares well. If you are looking for a game camera that is the next step up, the Moultrie M-880 is a great option. 8000 photos on each set of batteries. Note: Use of video will drastically reduce the Moultrie A5 battery life. In conclusion, the Moultrie A5 gives the value of your money’s worth. It has no excellent features, but you can be sure to get what you pay for.